In a bowl, combine the cheese, potato and sweet corn kernels. Add the salt,green chilies,white pepper,oregano,cornflour and all purpose flour. Mix thoroughly. Divide and shape the mixture into tiny balls. Set aside for 10 minutes in the refrigerator. Mix the all purpose flour,salt and cornflour with sufficient water to make a batter of thick consistency. Dip the corn cheese balls in the batter and roll them in the breadcrumbs. 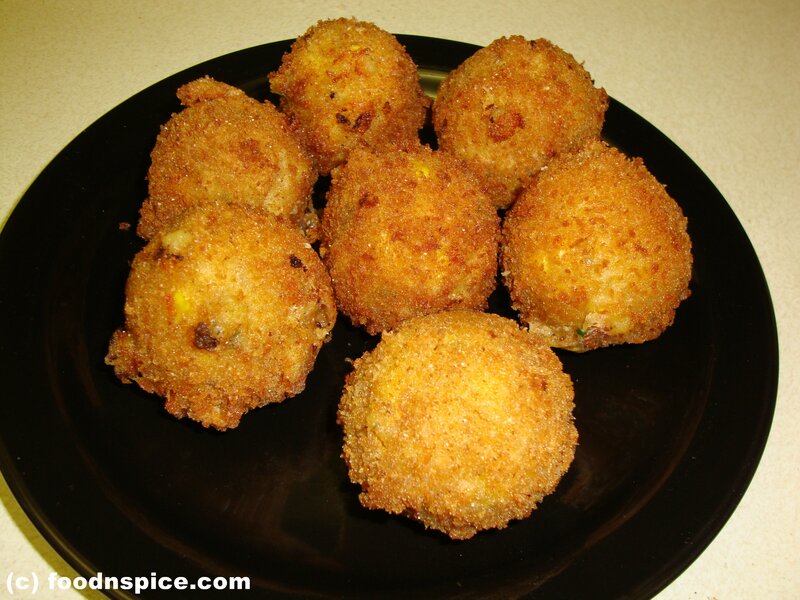 Heat the oil in a deep pan and fry the corn cheese balls on a medium flame to a nice golden color.